CONSORT Group, exclusively representing the International Executive Search Federation (IESF) in Russia and CIS, was recognized as the IESF champion in generating cross-border business in 2017/2018. Our company shared the first place — in terms of cross-border search projects assigned to other IESF partners — with our Dutch and German colleagues. This success is largely due to the relocation of one of our major client’s HQ from Moscow to Warsaw. The client asked us for advice as to whom to entrust formation of the Polish team’s “backbone”, and we facilitated the establishment of their working contacts with the IESF’s partner for Poland — NAJ International. The rest for highly professional Polish partners was a matter of expertise: in a short time seven (!) key positions were filled for the client’s company. The joint Russian-Polish project perfectly illustrated the IESF’s ability to meet the staffing needs of companies expanding their business outside of their country. 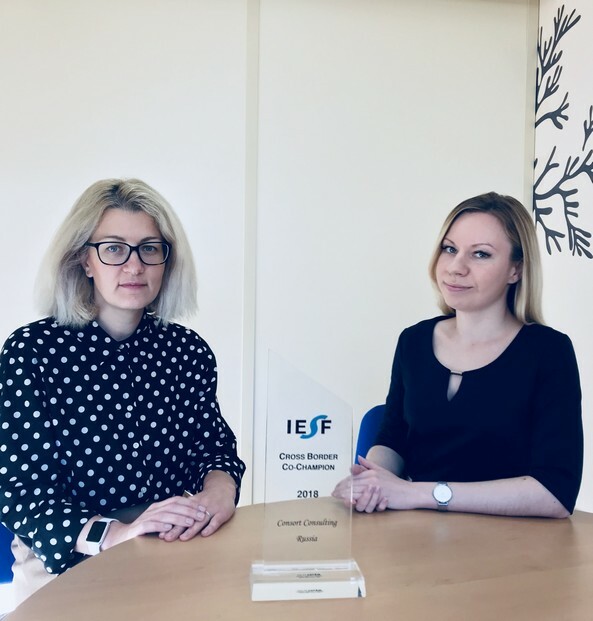 The marketing champion’s title is CONSORT’s third award from the IESF. In 2008 and 2014, CONSORT Group / IESF Russia was awarded the presidential prize For Special Achievements in Business.